Give Your Opinion. 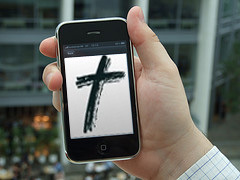 Take the Ultimate Church Mobile App Survey! 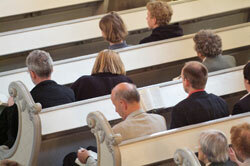 Is Your Church Putting Money Before God? 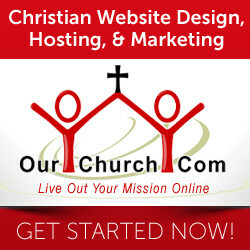 Church Marketing Confusion – What Are You Talking About? Smart phones are becoming more the standard than the “cool new tech” and with the proliferation of smart phones, more and more people are using their phones for Internet access. In fact Cisco said mobile traffic was up 260% last year and is predicting that mobile traffic will increase 26 fold in the next 4 years. So, how does that effect churches? 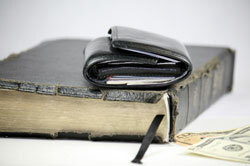 Does your church let money make your decisions? Does your church let money determine what kind and how much outreach you do? Really? I was reviewing some old articles and came across a post refering to a Christian Web Trends article that spurred the idea for a follow-up post. The article is, “The Best Target Demographic Ever“. I encourage you to give is a quick read, but here’s a quick two paragraph recap. Studies have also shown that the average church will loose about 10% of their members each year and will only convert about 15% of visitors to becoming members. This means that a church has to attract the equivalent of 75% of their church size in new members each year just to maintain their church size. If you have a church of 200 members, you have to have about 150 visitors each year to keep your church around 200 members. That’s 150 visitors for no church growth. In the article, “The Best Target Demographic Ever?”, Paul wrote about how a church’s current members and the people who come to visit the church are the best demographic for a church to market to. Studies have shown that it is much easier to retain members than it is to get new members. Similarly, it’s much easier to get a visitor to come back than it is to get a new visitor. So, why not put a little more focus on keeping more members and getting a greater percentage of visitors to become members? I subscribe to several blogs and newsletters. 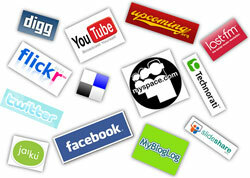 So, I frequently receive emails or RSS feeds with articles, information, and announcements. Yesterday, I got an invitation to download an eBook. What was the eBook about? I don’t know…or at least I didn’t know for a while. Why?